In the summer of 2007, close to 500 people showed up for the first-ever Open Web Awards at the posh Palace Hotel in San Francisco. The ceremony, hosted by Mashable, an up-and-coming social media blog, honored Web 2.0 luminaries like Pandora, YouTube, Last.fm, and Twitter. 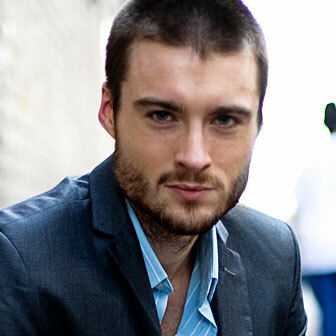 For Pete Cashmore, who founded Mashable from his home in Aberdeen, Scotland, in 2005, it was the first time he was coming face-to-face with the people he had been writing about since he was 19-years old. Hell, it was the first time he was face-to-face with his COO. A lot has changed in the past two years. Mashable, which Cashmore used to spend 20-hour days building as a college dropout, is now one of the most visited blogs online, boasting 7.8 million unique visitors and 12 million page views a month, all clamoring for the latest news on Facebook, advice on using Twitter for hiring, and more. Cashmore himself has become a household name -- that is, if you live in household of early adopters, social networking fiends, and Twitter addicts (Mashable has more than 1.5 million followers). Being called the Brad Pitt of the blogosphere didn't hurt either. Mashable has been fortunate enough to hit its stride just as it's become a cultural mandate to keep up with the latest in social media. And Cashmore smartly expanded his coverage to appeal to crossovers from the mainstream. Insiders can find popular tech news, but the uninitiated are just as likely to visit for how-to guides on leveraging social media. Rather than doggedly reporting on the latest gadgets or industry news, Mashable tries to focus on why it's relevant or how it can be useful to consumers. "From 2008 onward, we focused more on the communication side -- here's something new and here's how you use it to communicate," Cashmore says. "In 2009, we covered marketing more and more, like using social media to promote your company. One indicator that his strategy has broadened Mashable's appeal is the fact that its audience is 50 percent female. In June, Mashable even surpassed Michael Arrington's TechCrunch as the most popular tech blog. "I think it has been advantageous to be young and be in the social media and social networking space," Cashmore says. "It was a trend that happened in my generation. The Valley blogs are covering it from a perspective of people of their own age range. Being in our 20s is a competitive advantage you can't really overlook." That advantage has helped Mashable rake in a seven-figure annual revenue from a combination of advertising and events, like its summer tour, which drew crowds of 400 or 500 in cities like Boston, San Francisco, and Miami. By keeping a low overhead -- most of Cashmore's 12 employees work from home -- the site has managed to be profitable from its inception. For now, Cashmore's content to grow organically, but with an eye on potential partnerships that could boost distribution. Now that larger media companies have gotten into the social media game, Cashmore has once again adapted Mashable's coverage. "The start-up culture has evolved, and we've evolved with it. We're still fairly small, so we're able to react quickly," he says. "You get a different dominant player, like Facebook Connect or the iPhone, and it changes the direction." Ironically, for a website about social media, which is all about exposing your personal brand, Cashmore's first instincts were to market his company, rather than himself. "Culturally, I think there's a huge contrast between the U.K. and America in terms of self-promotion. It's frowned upon in the U.K. and considered egotistical. It's something you have to let go of," says Cashmore, whose company is based in New York and San Francisco, and who spent most of this year in London to get some perspective on changes in the social media space. "For the first year and a half after I launched, nobody had any idea what I looked like."